If you use a single Django app for admin panel — API back-end, user facing front-end, etc. — you probably use URL schemes like example.com/admin for the admin panel and example.com/api for the API back-end, or something similar. a) Having all entities on a single domain is a security issue. b) Makes it easier to implement separate authentication backend, essentially keeping users with admin access away from those without admin access. c) Makes use of dynamic domain/subdomains possible. d) Makes it possible to serve each domain/subdomain from a different server. For example, you can point www.example.com to a high performance server for general users, and admin.example.com to a cheaper one as it’s usually used by a handful of users. How to serve admin panel, API back-end, and user-facing front-end on different subdomains. 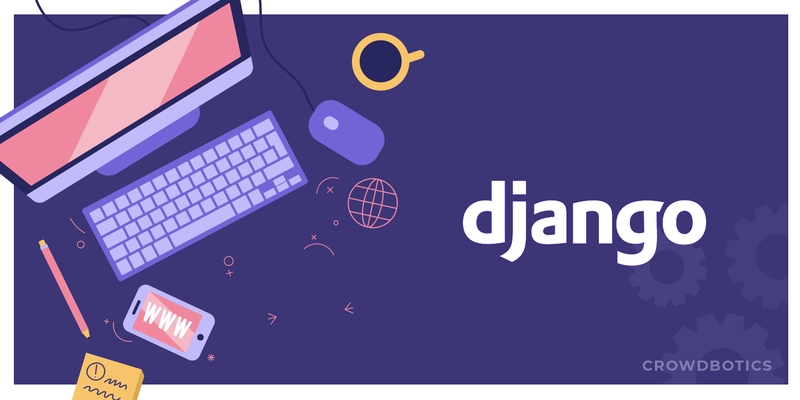 How to serve a single Django app on multiple (and dynamic) domains or subdomains. At least some experience with Django development. A Django app with some URLs configured for at least two of: admin panel, APIs, or user-facing front-end. Subdomains or domains configured in virtual hosts. NB: I’ve used Django v2.1, django-hosts v3.0, and Django REST Framework v3.8 for this tutorial. In this section we’ll configure our Django app to serve admin panel on admin.example.com, APIs on api.example.com, and user-facing front-end on www.example.com. To make our task easier we’ll be using an amazing library by jazzband, django-hosts. Once you’ve installed django-hosts (pip install django-hosts), follow the steps below to configure it. Add django_hosts to INSTALLED_APPS in settings.py. Add django_hosts.middleware.HostsRequestMiddleware at the beginning of MIDDLEWARE or MIDDLEWARE_CLASSES in settings.py. Add django_hosts.middleware.HostsResponseMiddleware at the end of MIDDLEWARE or MIDDLEWARE_CLASSES in settings.py. Create a file hosts.py in your app. Leave it blank for now, we’ll add content in it later. Next, we need to add required content in hosts.py file. Until now, you were probably putting all URL configurations in a single urls.py file. To serve each entity on different subdomains or domains, we need to create separate files similar to urls.py for each set of routes. For example, I’ll be creating 3 files. Namely, urls.py for admin panel URL configurations, frontend_urls.py for user-facing front-end, and api_urls.py for API back-end. Once this is done, let’s quickly configure hosts.py to serve each set of URLs on separate subdomains. You might also need to define DEFAULT_HOST in settings.py. That’s it! Now you will be able to access each subdomain, and each of them will do its job only. Neat, right? You should also consider adding django_hosts.templatetags.hosts_override to TEMPLATES['OPTIONS']['builtins'] in settings.py to override default url template tag with template tag bundled with django-hosts to handle subdomains. What if your requirements are more complex than what django-hosts provide? Don’t worry. I’ve got you covered. In one of my previous projects, the client wanted to develop an app in Django that could also be sold as a white-labelled service. From a development point of view, this requires a single Django app which can run on multiple, dynamically created, domains or subdomains. It should also be able to filter content and handle permissions based on the domain from which it is accessed. Unfortunately, django-hosts can’t be used as it required hardcoded configuration, and it only supports subdomains. So, I created a custom solution. Let’s start with a fresh Django app, and create an app named domains using the command python manage.py startapp domains. Don’t forget to add it in INSTALLED_APPS in settings.py. Create a model in this app’s models.py file as below. We’ll be using this model to create domains dynamically. You can simply create a domain example.com in admin panel and a new website will be functional on example.com using the existing codebase and database. Of course, you will need to configure the domain in virtual hosts. The configuration for the same will vary depending upon the server software you’re using. Now that you’ve created the Domain model, let’s add it to Django Admin quickly. Since we’re binding the app to specific domains, including the default one, the app might not be accessible if there are no domains added in the database. To tackle this situation, having a django-admin command is very handy. To do so, create a python package named management in domains app. Create a regular directory named commands inside it. In commands directory create a file createdomain.py, and add the following code in it. I’ll explain it below. # KeyboardInterrupt and exit gracefully. "Domain creation skipped due to not running in a TTY. " It’s simply taking user input and creating a record in Domain model. The code is similar to the one Django itself uses to create super user (i.e. createsuperuser). So far we’ve created a model to define domain names, and a CLI command to add records in it. We plan to isolate data on each domains. To do so, first we need to let our Django app know which domain is currently accessing the app. That’s a job for a middleware. Let’s create one. This might not make any sense at this point, that’s because we’re actually doing the actual job of detecting domain in domains/models.py for efficiency reasons. Next step? Use this class in Domain model. Don’t forget to add this middleware path, domains.middleware.CurrentDomainMiddleware in my case, to MIDDLEWARE in settings.py. We’re almost there. All we’ve done so far will give us Domain object attached to each request. You can access it by request.domain anywhere request is available. Let’s test it. Create another app python manage.py startapp polls and add it to INSTALLED_APPS in settings.py. Create any models you want in this app, just add a ForeignKey or ManyToManyField in it named domain or domains respectively. That’s it! You may now create any many domains/subdomains as you want and each one of them will have access to only the polls created within that environment. What I just created is very basic as the purpose of this tutorial was to show how multiple domains can be handled in a single Django app. You can use the above approaches to create more complex apps. For example, you can create an app in which each super admin user have access to their own domain, and nothing else — similar to “white-labeling” requirement I mentioned above. You can create apps with single back-end panel and multiple front-end. For example, a news website with multiple domains/subdomains for multiple categories. Such website might require having some of the news articles on a single domain, and some of them on multiple domains. Instead of creating multiple apps, all of them could be managed from a single codebase and admin panel. You can even combine both of the solutions above to create subdomains for each entity, with support for dynamically created domains. You can use this approach to modify view permissions, authentication, accessible records, and few other things based on currently active domain. Let us know what you’d use it for in your comments below. Was this tutorial helpful? If you found any error or difficulty following it, let me know in the comments below. Thanks to William Wickey for help editing.